Supporting a child with hearing loss can sometimes bring big life changes for the entire family. 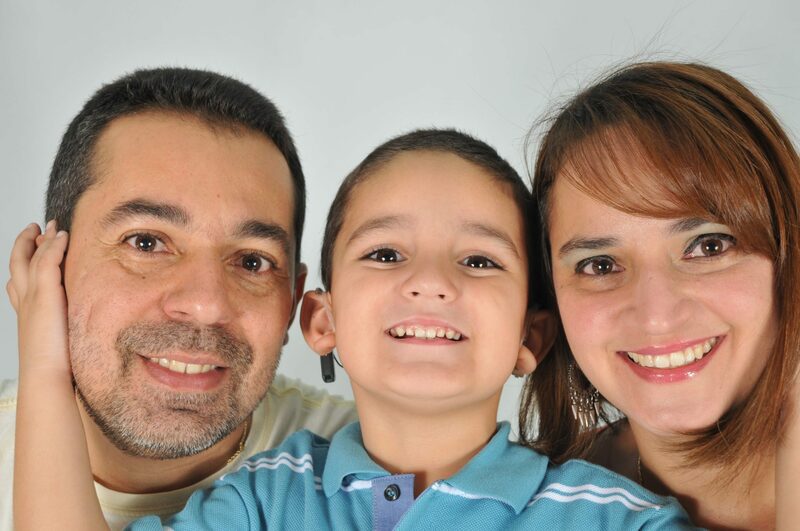 In this guest post, Deborah shares how her family packed up their life and moved across Brazil, to give her son with hearing loss the best rehabilitation possible. Deborah’s 10-year-old son Alexandre received his first cochlear implant in 2008, and his second in 2013. Alexandre is a sporty 5th grader, and loves football, swimming, playing video games, and reading! After receiving his hearing test results, Alexandre started using hearing aids. But, he didn’t experience any improvement. Then, a phone call on August 4, 2008, changed our lives. There was a medical event to be held in our town by an Otolaryngology Society, and the central theme was cochlear implants. The medical team from the event was looking for a child candidate. They were planning to do cochlear implant surgery on a suitable child with hearing loss live during the event. We knew by this point that a cochlear implant could be Alexandre’s chance in being able to hear and learn to talk. This was an opportunity to improve the quality of life of our child with hearing loss, and give him his independence. All Alexandre’s hearing tests were analyzed by professionals, and to our joy, our son was chosen for the procedure. The cochlear implant surgery was performed in 2008, one month after that memorable phone call. After the activation of the cochlear implant in 2008, Alexandre began his rehabilitation for learning to hear with his new device. We knew how important rehabilitation was to allow Alexandre to benefit from his implant. In his second mapping in May 2009, we heard about a place called the Educational Center of the Hearing Impaired—CEDAU, in Bauru, São Paulo. I was so impressed from what I had heard about the organization of and the staff at this rehabilitation center. I learned about other children that had been there, and I saw how they could talk so well—it was everything we wanted for our baby. After learning about CEDAU, we returned home to Manaus, in the north of Brazil, with the dream of our child also receiving this treatment. Within one week we decided that we would move to Bauru, situated in the south of Brazil. In the second half of 2008, we did just that, in order to further improve Alexandre’s rehabilitation. We left everything in Manaus—employment, family, and friends. We did not know anything about this new place we would call home, and we did not know anyone there. But, we never thought about changing our minds—we now had a mission to fulfill. We knew it would not be easy. We knew that we would pass through many phases and difficulties. But all this effort was worth it because we wanted our child with hearing loss to be independent in the future. We wanted Alexandre to be able to study, work and have a relatively normal life. Alexandre began attending rehabilitation at CEDAU in August 2009. He had a well-defined routine that involved sessions with an interdisciplinary team, including speech therapists, educational psychologists, psychologists and other support staff. Not to mention all the recreational activities! Alexandre took part in various holiday activities such as night pajama parties—all fun games that a child loves. All of these activities involved the family at all stages of the rehabilitation process. The professionals at the center constantly reminded us of the importance of us as a family participating in Alexandre’s rehabilitation. We soon realized that the changes that took place with Alexandre were also changing our lives, and certainly for the better. We had a different view on deafness and were looking to become more involved in this process. Meetings, courses, group speech therapy—all of this helped us to learn how to deal better with our son in day-to-day activities. A key learning for us in the rehabilitation journey was the importance of integrating the family, the specialists and Alexandre’s school to best support our son. Three years ago, Alexandre received his second cochlear implant on the left-hand side. This has improved his hearing abilities immensely, particularly in sound localization and understanding of speech. Our son finished his rehabilitation activities with CEDAU in December 2014 after five years and five months. If you could meet the Alexandre who first entered the CEDAU, and if you talked to Alexandre today, you would see an amazing transformation. That shy boy with minimal vocabulary is now today a confident boy with wonderful speech. He is very motivated and participates in everything possible, and is full of attitude! Today, Alexandre is a fully integrated child in his social environment. He is enrolled in 5th grade and doing really great at school, participating in all educational and sports activities possible! Did you like this post on supporting a child with hearing loss? Check out the MED-EL Rehab Bookshelf, which gives an overview of many MED-EL rehabilitation materials and access to e-books. Subscribe to the MED-EL Blog by entering your email below to get guest stories, tips and tricks and technology news sent straight to your inbox, twice a week!